It seems that while our undergraduate population is still smarter than the average bear, we have lost the intellectual race to another forest mammal: the crafty raccoon. Recent studies performed at the Farm have revealed that Stanford raccoons are actually better equipped to deal with many basic tasks than Stanford frosh. 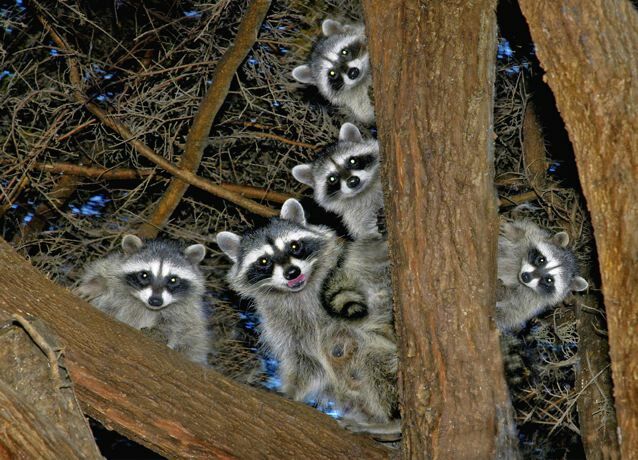 Suspicions were raised when raccoons on campus were first seen to travel in packs, sharing dinners on the trashcans outside of Lag Dining and grooming themselves regularly. They were also spotted crossing the street in an orderly fashion, waiting for bikes to pass before walking across, and even using the crosswalks correctly—all behaviors far beyond the capabilities of the average freshman. Nothing was confirmed, however, until it began to be noted that some raccoons had begun to acquire Late Night meals in exchange for PWR tutoring. Freshmen, uncertain how to put forth a coherent argument on paper despite the fact that they didn’t seem to have any trouble with their application essays the previous year, flock to these small furry creatures who then give writing advice outside of Arrillaga dining every evening. “Yeah it’s a bit demeaning, but they’re closer than the Hume writing center and their hours are more convenient,” said one Donner resident. As of printing, the school has not decided whether they will begin to offer scholarships and/or tenure to our fuzzy mammalian friends.